Will Trinity House be the next Kew Gardens? As 2014 draws to a close, it gives us an opportunity to reflect on what has proven to be a memorable year for coin collectors. But will any of this year’s five commemorative designs be hot property in the future? 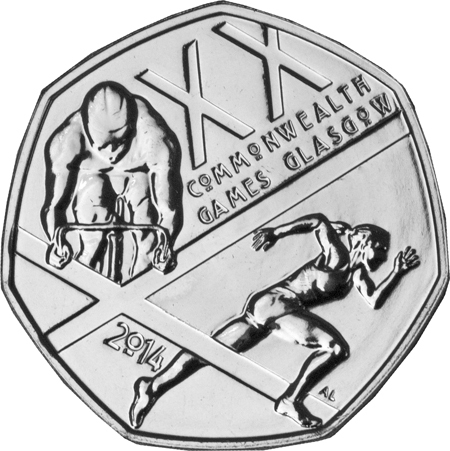 The Commonwealth Games have a long standing history with British coinage, and this year for the first time the Games were commemorated on a 50p coin. This striking reverse design featuring two athletes set against the Scottish saltire was being found in change all over the country during the Games in July. Thousands of swappers also took advantage of our very first Swap 50p for 50p offer to get their hands on one! Arriving to much fanfare in November was the first issue in the Royal Mint’s five year programme of £2 coins commemorating the centenary of the First World War. 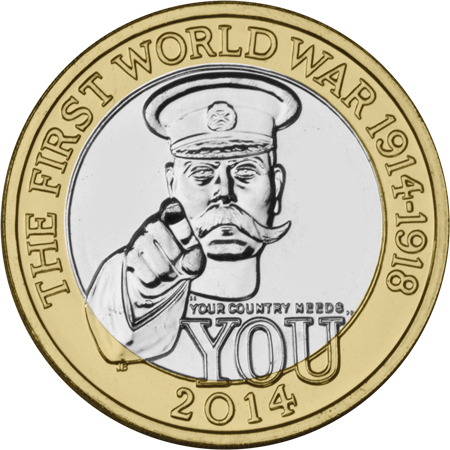 The highly anticipated design featuring Lord Kitchener is certainly recognisable, but the high number being found in change recently would seem to suggest a plentiful supply. In recent years, the mintage of new issue £1 coins has dropped significantly and the final two coins in the floral series look to be no exception. The designs representing Scotland and Ireland have so far been tricky to find, but it seems they have only very recently entered general circulation. 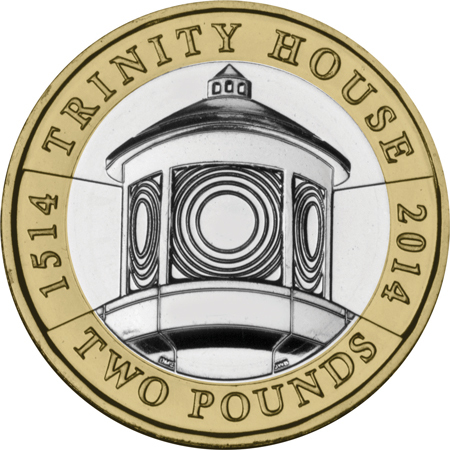 And that just leaves the Trinity House £2. To date, we haven’t seen any in our change and not a single photo has surfaced from our thousands of eagle-eyed Facebook fans. It’s early days to be labelling this as a scarce coin and until the mintage figures are released we are only speculating – but it looks like this may be a coin to keep hold of…if you can find one! Have you found all the coins for 2014? Don’t worry if not – you can own them all in this year’s Brilliant Uncirculated pack. Now available with £10.50 off the usual price! Click here to reserve yours.